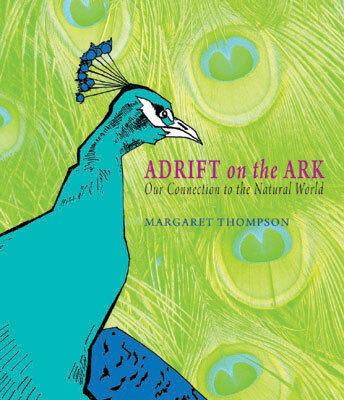 Adrift on the Ark is a collection of personal essays by Margaret Thompson that offers a straightforward study of the complex relationship between human beings and the natural world. The essays look at a wide range of beings—from spiders to peacocks—and cover issues such as our irrational phobias, our fascination with zoos, and the myths and stories we have created around the other occupants of this earth. They also observe the joy animals bring to us as our pets and the altruistic relationship between caregivers and companions. With lively anecdotes and engaging portraits of the animals who have enriched Margaret’s life, these entertaining and personal essays serve a double purpose: as a reminder of our place in the natural order and our intricate connections with animals; and as a warning about how much we stand to lose by ignoring our responsibilities for all life on earth.